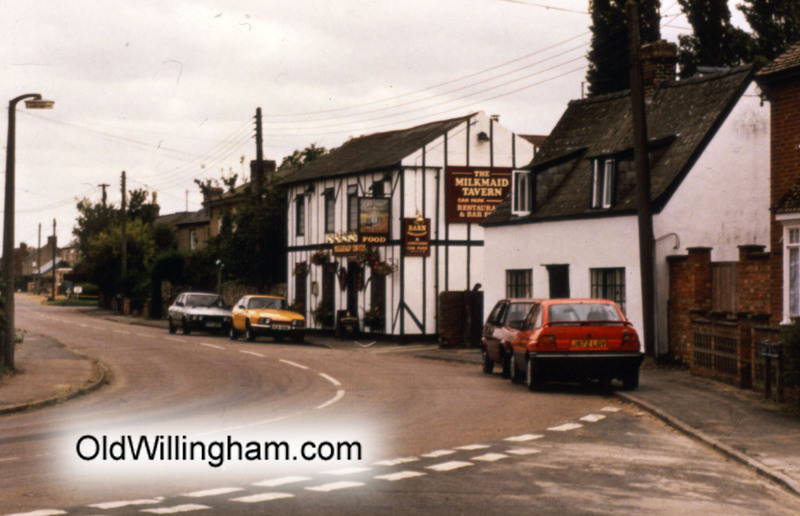 There were once many pubs in Willingham and the Milkmaid Tavern was one of the last to close, in 1999. This picture is taken from the end of Silver St and, based on the cars, was probably taken in 1990s. A feature of the pub in its latter days was the Milkmaid Folk Club which ran folk evenings to a high standard and with well-known artists. The folk club was so successful that Terry Walden, the last pub landlord, continued it after the pub closed and it still exists today (although no longer in Willingham) – see www.milkmaidmusic.co.uk.